I’ve been a Brad Paisley fan ever since the release of his “Time Well Wasted” album. Paisley had me hooked with “When I Get To Where I’m Going” and I’ve been buying his music ever since. 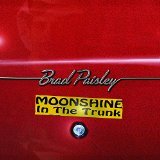 Like a lot of country music, the brilliant lyrics in Brad’s songs are what draw me to his work and the songs on “Moonshine In The Trunk” are certainly no different. In addition to the lyrics, Paisley’s technique on the guitar blows me away and, this time, he brings some new, fun nuances to the table or, actually, the bar. “The bar?” you ask? Yes, the bar. Let me ‘splain. 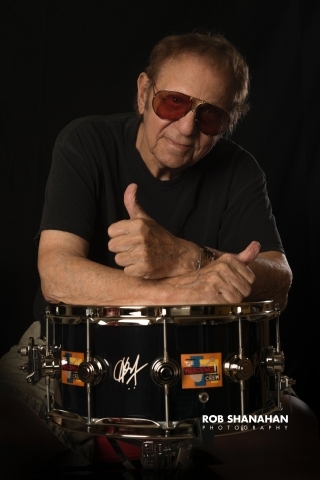 With that as a backdrop, Paisley single-handedly wrote “Shattered Glass” and “JFK 1962” and co-wrote the others with either Kelley Lovelace, Lee Thomas Miller, Chris DuBois, Brent Anderson, and Tim Owens. 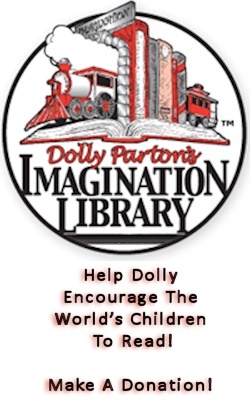 The only that don’t have Brad’s noodling fingerprints on them are Kenny Lewis’s “Gone Green” and if you buy the “ZinePak” edition, Tom T. Hall’s “Me and Jesus,” which closes out that edition of the CD. “Perfect Storm” is, by far, the Boomerocity favorite on this album. It reminds me a bit of “She’s Everything To Me”. The lyrics are both brilliant and memorable as are Brad’s guitar work. The acoustics give it an almost bombastic sound with Ben Sesar’s drum work being almost reminiscent of the late John Bonham’s adding to the vibe. “Moonshine in the Trunk” is one of those that you better think twice before getting behind the wheel of any vehicle that can go fast at all. Why? ‘Cause, I swear to Dale. Sr., this song will make you break the highest of speed limits if you do. Just sayin’. It also doesn’t hurt any that it’s quite the country rocker with plenty of Paisley’s signature noodling, to boot. “JFK 1962/American Flag on the Moon” is an amazing, patriotic song. It’s inspiring in that it calls us to our best while calling same on our politicians by singing, “How do we honor those who have fallen and died for this dream? I’m sure of one thing, it’s not with gridlock or bickering.” Love, love, love this song! Of special note is the Tom T. Hall song, “Me and Jesus” (as mentioned earlier, this tune is a “Extra Special Bonus Track on the ZinePak edition). The album notes indicate that this song was mixed by Paisley on Air Force One (with assistance from Kyle Manner and Kendal Marcy). If he means THE Air Force One, then I have to wonder if this is the first song to have ever been mixed on the awe-inspiring symbol of American might, reach and power. If I ever have the privilege of interviewing Brad, it’s a question I intend to ask. Paisley fans will buy this CD without needing to read a review or hearing a cut from it. 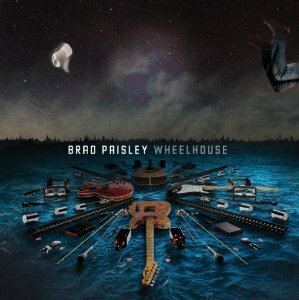 If you’ve never bought a Brad Paisley album, this would be a great one to buy first. Both groups will be in for another Brad Paisley musical treat.